Aranjuez is connected by train with Madrid Airport Terminal 4. Just take the Renfe Cercanías Line C1 train heading to Chamartín/Sol/Atocha at Terminal 4 exit. Platforms are located next to the metro ones (don't catch the metro). The train will take you to Nuevos Ministerios Train Station where you should change to other Cercanías train of Line C3, with Aranjuez as final destination. Aranjuez is the final destination for all trains in this line (C3) heading to Southern Madrid. The single ticket costs 4 euros and can be bought at any of the machines located at the Train Station halls (be aware of pickpockets or beggars). Please keep the ticket till the very end of your trip, since you will need it to get out from Aranjuez train station. Local buses: Lines 1, 2 and 4, with stops at Calle del Gobernador, 50 meters away from the entrance to Centro Cultural Isabel de Farnesio in the direction to the RENFE railway station. The same lines with origin at the train station also have a bus stop at Plaza de la Constitución, 100 meters away from Centro Cultural. Madrid-Aranjuez by train: (Recommended) line C3 Cercanías-RENFE trains head to Aranjuez from either Chamartín, Nuevos Ministerios, Sol (48 min) or Atocha (45 min). The single ticket costs 4 euros and can be bought at any of the machines located at the Train Station halls (be aware of pickpockets). Aranjuez is the final destination for all trains in this line (C3) heading to Southern Madrid. Please keep the ticket till the very end of your trip, since you will need it to get out from Aranjuez train station. Here you have a map of the train lines. Once at Aranjuez train station, you can either walk to the city centre (15 minutes) after a pleasant walk through which you will pass by the Royal Palace and the historic downtown or taking one of the city buses city buses (ticket 1.20 euros) heading to the downtown. Please check the most convenient itinerary to reach your accommodation. Madrid-Aranjuez by car: Aranjuez is communicated with Madrid by the free-toll highway A4 (Exit 37, Direction M-305 / Aranjuez Norte). The trip should take around 45 minutes. If you drive, parking at Aranjuez downtown is not free at some streets clearly indicated, and you will need to provide a parking ticket - to be bought at designated machines near the parking slots - to your car. Parking in other streets in the historic downtown are free, so check in advance. Madrid-Aranjuez by coach: Aranjuez and Madrid are also joined by the 423 coach line. Tickets are around 4 euros single. Coach station in Aranjuez is located in Calle de las Infantas whereas in Madrid buses depart from/arrive at Estación Sur Mendez Alvaro (Coach Station) and also stop at Legazpi Square. Other options are lines 410, VAC158 and interurbano Aranjuez-Ontígola, with the companies AISA, SAMAR and Interbus, with stops at Calle de las Infantas, 100 meters away from Centro Cultural. More information on public transportation to and within Aranjuez can be founde here. 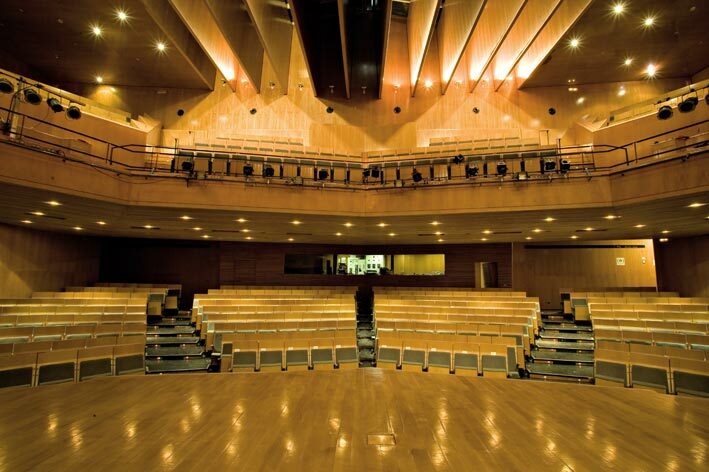 Sessions will be held at the Auditorium Joaquín Rodrigo. The registration desk will be located here in the ground level, after the first courtyard. In order to get to the conference venue and to return to your accommodation, we recommend to walk. The historic centre of Aranjuez is quite small and all the facilities are at walking distance. View Venue and Aranjuez historic downtown in a larger map.